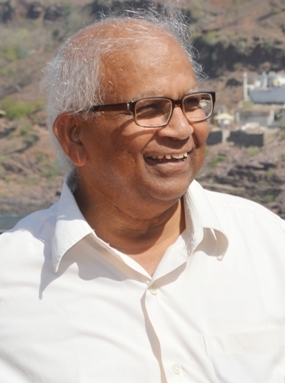 Dr. Ganesh Vankhede founded the Indian Society of Arachnology in 2012 and also served as the first President of the Society during 2012-2015. 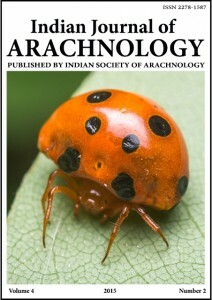 He also established the publication “Indian Journal of Arachnology” dedicated to the study of Arachnida. He retired as a Professor and Head of the Post Graduate Department of Zoology, S.G.B. Amravati University, Amravati. He had an extensive 40 years of teaching experience to graduate and post graduate students and 28 years of research experience. Apart from producing 14 valuable books, he also contributed 33 valuable publications to his credit, including 07 research papers in international and 26 in national journals. He also participated in 4 international and 32 national conferences/ symposia/ seminars along with delivering many invited talks and chairing of sessions. He had completed 8 research projects and around 28 students have been awarded Ph. D. under his supervision. He is known as one of the few experts on spiders in India and recorded around 38 new spider species from India and a collection of 1569 spider species from Central India. Dr. Vankhede received fellowship of Nature Conservators in the year 2002, a Gold Medal of Zoological Society of India in 2003, Sanctuary-Royal Bank of Scotland award for Wildlife Services in 2010 and Vasundhara International Award in 2012. He was also the recipient of Asutosh Mookerjee Fellowship for superannuated scientists (2016-2020). He was also a life member of International Society of Arachnology, Asian Society of Arachnology, Bombay Natural History Society, Mumbai, Asia and Oceania Society for Comparative Endocrinology and Japan Society for Comparative Endocrinology, Japan, Indian Society of Aquatic Biologists, Hyderabad, Academy of Environmental Biology, Lucknow and Journal of Environmental Science, Haridwar, Indian Science Congress Association, Kolkata and Council Member of Asian Society of Arachnology (2012-2015). Dr. Vankhede was closely associated with Satpuda Foundation, a leading NGO in central India and helped them in fighting many battles to protect the biodiversity of Satpuda region by providing a solid research base. Not only this, he supported Satpuda Foundation from his University and commenced many research and environment education programmes for Indian and foreign students. He also assisted Maharashtra Biodiversity Board. He has served on several committees of various universities in India including the syllabus committee of MPSC, Mumbai and National Tiger Conservation Authority of Ministry of Environment and Forest. His area of research and specialization in toxicology, ecology, wildlife studies and conservation, Environment Impact Assessment (EIA) and immunology has indeed helped many Government and Non Government organizations in saving the flora and fauna in central India. His EIAs could actually stop Upper Tapi Irrigation project, Chikhaldara pump project and save the forests of Melghat.